Shoreline Media Productions is a Cape Cod creative production company working across numerous channels and categories. We create dynamic multimedia stories for all varieties of businesses and non-profit brands. 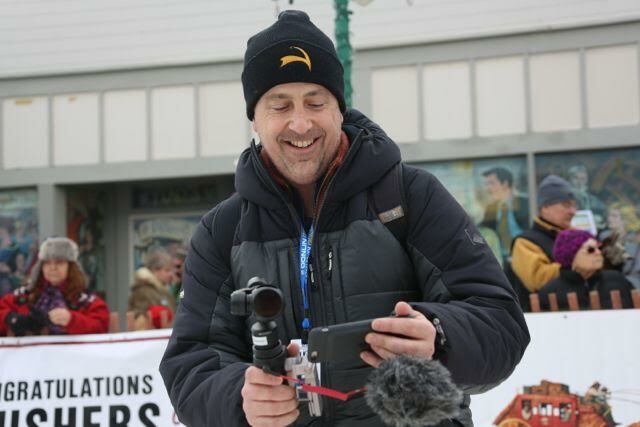 Our team is led by longtime Cape Cod commercial cinematographer and video producer Tom Chartrand. Tom teams with writers, other producers,and videographers to handle projects of nearly every scale and genre, from single-camera studio interviews to multi-camera, multi-crew commercial and corporate shoots. Regardless of the scope or budget, we approach all projects the same way… Make it better than you thought it could be. Identify your audience, message, and intent gives a great starting point in dreaming up a vision that is unique, compelling and possible within your budget. We shoot your video either on-location or in a studio to light and capture engaging interviews, sound, b-roll, presentations, walk-throughs, aerials or just your dog sitting pretty. We offload your footage, edit your sound, layout the project, mix-down audio, color grade and make tons of tweaks under the hood to put your message in motion. This is where the magic happens. Shoreline Media’s post-production team is proficient in the latest systems and software to bring your story to life.